Ottawa is cold (albeit sunny) and snow-covered so it looks like it will be some time before I can write about new cycling adventures of my own. However, I have received a special request from Terri in North Carolina for my Bircher-Muesli recipe. It has been featured on the Fat Cyclist's blog and a lot of people have used it as part of a weight-loss program. This combination was developed in Switzerland at a health spa by a doctor, Dr. Maximilian Bircher-Benner, searching for the perfect all-around food that could be eaten anytime. You can make up a batch and the longer it sits in the refrigerator the better it becomes, but I find that it tastes so good that it does not last very long. It is low in calories and fat and high in nutrients and fiber and really, really cheap to make. Dr. Bircher figured that you could actually live on just this. Well, with a cappuccino, I guess. 1/8 cup of flax seed, for those Omega-3 fatty acids! Mix this together in a bowl, refrigerate overnight. The oats will soak up the apple juice and it may take a few tries to get the right consistency. I prefer that it is not too dry. Serve over a sliced banana. Muesli was introduced around 1900 by Swiss doctor Maximilian Bircher-Benner for patients in his hospital, where a diet rich in fresh fruit and vegetables was an essential part of therapy. It was inspired by a similar "strange dish" that he and his wife had been served on a hike in the Swiss Alps. Bircher-Benner himself referred to the dish simply as "d'Spys" (Swiss German for "the dish", in German "die Speise"). 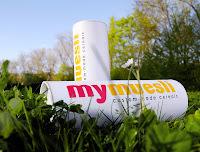 The term muesli is a diminutive of the Swiss German noun "Mues" (German: "Mus"), a cooking term for a semi-liquid made from raw or cooked fruit that lacks an exact English equivalent, but that is related to mush, paste, compote or the French purée. Muesli in its modern form became popular in western countries starting in the 1960s as part of increased interest in healthy vegetarian diets. Original Bircher-Benner muesli recipe A slightly modernized version of the original Bircher-Benner recipe is still a prototype for most fresh muesli today. For one serving, it consists approximately of: * 1 tablespoon rolled oats, soaked in 2–3 tablespoons water * 1 tablespoon lemon juice * 1 tablespoon cream * 200 grams apple (about one large, preferably a sour variety), finely grated and mixed with the above directly before serving * optionally top with 1 tablespoon ground hazelnuts or almonds. The original recipe actually used sweetened condensed milk instead of cream, a compromise due to hygiene concerns regarding fresh milk products in 1900 (bovine tuberculosis, etc. ), before pasteurization and refrigeration became commonly available. The original recipe also advised to soak the oats in water overnight; this long soaking time is unnecessary with modern rolled oats, which the manufacturers already soften through a steam treatment. Who was Dr. Bircher-Benner, anyway? Maximilian Oskar Bircher was born in Switzerland on August 22, 1867. After studying medicine in Zurich, the young doctor opened a general practice in Zurich's industrial quarter. During the first year his practice was open, Bircher-Benner fell ill with a slight case of jaundice. It is said that by eating raw apples, the doctor was soon healed. Bircher-Benner became more and more convinced of the healing power of raw fruits and vegetables. Between 1895 and 1900 he conducted numerous nutritional experiments with raw vegetables on himself, his family and even the patients who seemed appropriate. He finally developed the dish that has become a classic around the globe, Bircher Muesli. In November 1897, Bircher-Benner opened a small private clinic for dietetics and physical healing methods on the Asylstrasse in Zurich. In 1904 the newly qualified doctor of medicine, who was finally housed in the villa district on Zurichberg, opened a new sanatorium in a sunny southwestern location. It was called "Vital Force," which is a key term from the German lifestyle reform movement which states that people should pattern their lives after the logic determined by nature, thereby living in harmony with nature. The clinic's reputation soon spread outside Switzerland and patients included princes and industry moguls, musicians and literary figures. The new nutritional value teachings of Bircher-Benner were a stark contrast to the usual dietary notions, according to which the value of foodstuffs was measured by its protein and calorie content. According to Bircher-Benner, food should no longer be just a means to satiate hunger or feast upon, more importantly it should keep the body healthy. Meals should contain little or no meat with potatoes, dark bread, milk and milk products. 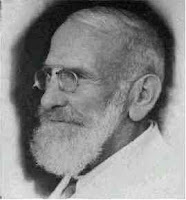 Dr. Bircher-Benner died on January 24, 1939 at the age of 72. He did not live to see the opening of the "People's Sanatorium for a Lifestyle Based on Nature." Thanks to the donation of a patient, this sanatorium, run according to his ideas, was opened in the same year in Zurich. In addition, the "Vital Force" Sanatorium was renamed as the "Bircher-Benner Clinic" in his memory in 1939. And because we live in the Modern World of the Internet, some young German entrepreneurs have come up with custom-mixed cereal, using 75 different ingredients, that you can order on-line. This is of course just the dry version of muesli but it shows that after 110 years there is still a demand for this. And you have to wonder how something that tastes so good can be so healthy for you. Very Interesting! It's amazing the things one can learn about stuff used in daily life. For what it's worth, several times a week I eat store brand Muesli from the Swiss Co-op (supermarket) - recently the Muesli became sponsored by weight-watchers. PS - I just bought a front wheel piece for my indoor trainer with the hope that it will make indoor cycling more comfortable - not holding my breath though. Terri from NC is my mother! Hi, Jeff. I hope Terri likes this article! More about muesli than anyone needs to know, but at least there are some nice pictures. Thanks for the recipe and the history. It sounds like Dr. Bircher was in to nutrient density before his time. I made my first batch of muesli last night and tried it out this morning. It looked a little like paste but it tasted good and really "stuck" to my ribs this morning. I wish I had brought some for lunch.